In addition to the internal custom antennas, the DMNG PRO180-RA has eight MCX antenna connectors on its front panel. These can be used to support two AVIWEST QUAD wideband external cellular antenna arrays to strengthen signal transmission in critical environments such as live from vehicles on the move. Weighing about 1Kg, the portable DMNG PRO180-RA can be easily connected to any professional camera (e.g., SD/HD SDI, analog [BNC] and HDMI) and mounted via V-Mount, Gold Mount, or PAG plates. By providing broadcasters with a video uplink system that is easy to transport, the DMNG PRO speeds up newsgathering operations. The DMNG PRO180-RA has 8 internal 3G or 4G modems with high gain custom antennas, an internal Wi-Fi modem, plus 2 USB ports into which 2 additional 3G/4G USB modems can be plugged to stream a live video or forward files over bonded wireless networks. 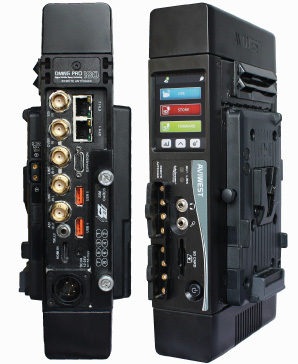 Two AVIWEST QUAD wideband external cellular antenna arrays can be plugged into the 8 MCX antenna connectors on the unit front panel to strengthen the signal transmission in critical environment such as live from crowed areas (street demonstrations, sport stadiums, etc.) or from vehicles on the move. The DMNG PRO180-RA can stream over KA band and use cellular links as back-up or complementary connection. It enables starting streaming a live over cellular connections while driving to location, before switching to KA band once the satellite dish is pointed. This bonding mode also ensures the transmission reliability when the performance of the KA band decreases, particulary in case of bad weather conditions or of drop in bandwidth due to congested network. 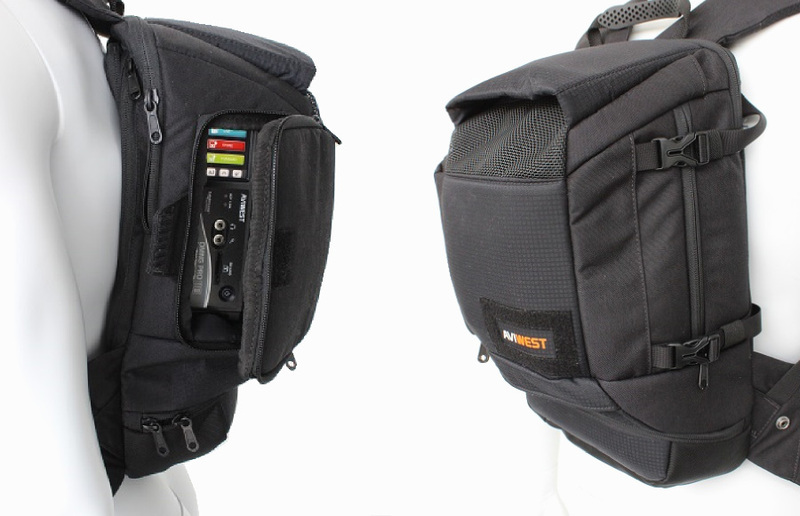 The DMNG PRO180-RA is compatible with the major portable satellite uplink solutions such as Inmarsat BGAN, Thuraya or KA band. It can also feed any kind of satellite modulator thanks to its MPEG-2 TS ASI output. The DMNG PRO180-RA can stream a live video over bonded IP networks to a DMNG Studio or to any kind of H.264 receiver from professional IRDs (Integrated Receiver and Decoder) to VLC player.